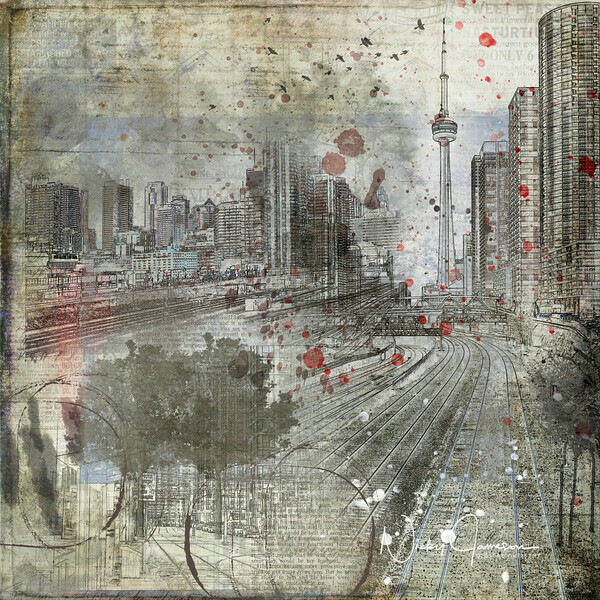 Toronto Skyline looking East with CN Tower, railway lines and architecture leading lines, composite artwork. There is more than one way to see (or create) a Skyline. You're probably familiar with seeing Toronto's skyline from the water, or the Islands.